The City of Vincent Local Law Relating to Standing Orders prescribes the procedure for persons to ask questions or make public statements relating to a matter affecting the City, either verbally or in writing, at a Council meeting. 1. Shortly after the commencement of the meeting, the Presiding Member will ask members of the public to come forward to address the Council and to give their name, address and Agenda Item number (if known). 1.2 Deletion of Condition 4.2. To consider an application to amend a condition of the existing development approval for Non-Medical Consulting Rooms at Unit 7, 117 Brisbane Street, Perth (subject site), in order to remove the time limit on the approval and grant permanent approval for the use. The subject lot has frontage to both Brisbane Street and Robinson Street, Perth, with Unit 7 fronting onto Brisbane Street. The site is zoned Residential/Commercial and has a density of R80 under the City’s Town Planning Scheme No. 1 (TPS1). The subject site contains a two storey building which is comprised of 62 commercial tenancies operating as a mix of shops, offices and showrooms. uses. The adjoining properties to the east share the same zoning as the subject site. The adjoining properties to the west are zoned Commercial. All of the properties that adjoin the subject site contain a variety of commercial uses. A location plan is included as Attachment 1. Council at its meeting on 7 February 2017 granted temporary approval for a Change of Use from Office to Non-Medical Consulting Rooms for Unit 7, with Condition 3.4 of this approval limiting the period of approval to 12 months. Since this time, the City has received no complaints in relation to the approved use. The current application seeks approval to delete Condition 3.4 of the previous development approval to allow the ongoing use of the site as Non-Medical Consulting Rooms. The use is considered to fall within this definition, which is an ‘Unlisted Use’ in TPS1. The proposal does not involve any changes to what was previously approved through development application 5.2016.412.1. This approval letter and approved plans are The conditions and advice notes of this approval are included as Attachment 2. The table below summarises the planning assessment of the proposal against the provisions of TPS1, the City’s Policy No. 7.5.22 – Consulting Rooms and the City’s Policy No. 7.7.1 – Parking and Access. In each instance where the proposal requires the discretion of Council, the relevant planning element is discussed in the Detailed Assessment section following from this table. Community consultation was undertaken for a period of 14 days in accordance with the Planning and Development (Local Planning Scheme) Regulations 2015, from 19 January 2018 to 2 February 2018. The method of community consultation included advertising the proposal on the City’s website and letters sent to owners and occupiers within close proximity to the subject site (see Attachment 1), in accordance with the City’s Policy No. 4.1.5 – Community Consultation. There were no submissions received during the advertising period. · Policy No. 7.7.1 – Parking and Access. In accordance with Schedule 2 Clause76(2) of the Planning and Development (Local Planning Schemes) Regulations 2015 and Part 14 of the Planning and Development Act 2005, the applicant will have the right to apply to the State Administrative Tribunal for a review of Council’s determination. On 8 December 2017, the Acting Minister for Planning announced that the City’s draft Local Planning Scheme No. 2 (Draft LPS2) is to be modified before final approval was to be granted. The Schedule of Modifications was confirmed in writing by officers at the Department of Planning, Land and Heritage (the Department). The Department also advised that the modifications to the Draft LPS2 would be required before the Acting Minister would finally grant approval to the Scheme. In this regard, the Draft LPS2 should be given due regard as part of the determination of this application. · “To provide for a wide variety of active uses on street level which are compatible with residential and other non-active uses on upper levels. · To allow for the development of a mixed of varied but compatible land uses such as housing, offices, showrooms, amusement centres, eating establishments and appropriate industrial activities which do not generate nuisances detrimental to the amenity of the district or to the health, welfare and safety of its residents. · To provide for a compatible mix of high density residential and commercial development. · To promote residential use as a vital and integral component of these mixed use zones. · To ensure development design incorporates sustainability principles, with particular regard to waste management and recycling and including, but not limited to, solar passive design, energy efficiency and water conservation. This matter is being referred to Council for determination as the proposal is for an ‘Unlisted Use’ which under the TPS 1 requires and Absolute Majority decision. The subject site is zoned Residential/Commercial under TPS1 which is the same for the surrounding properties to the south and east. The properties to the west are zoned Commercial. The use cannot reasonably be determined as falling within the definition of ‘Consulting Rooms’ in TPS1 and is therefore considered an Unlisted Use. The proposed use is considered to fall within the definition of Non‑Medical Consulting Rooms under the City’s Policy No. 7.5.22 – Consulting Rooms and meets the requirements of this policy relating to hours of operation and accredited qualification of employees for Non‑Medical Consulting Rooms. The use on the subject lot has been in operation for a year and during this time, the City has not received any complaints regarding the development. The use is considered to be consistent with the zoning of the lot as Residential/Commercial under TPS1 given the small scale and intensity of the use, and the proposed use is consistent and compatible with the operating land uses on the surrounding properties which consist of small scale commercial uses. Furthermore, the land use is considered to be consistent with the objectives of the Mixed Use zone under Draft LPS2 as it contributes to the variety of active uses within the area and is compatible with surrounding residential development. A site inspection was also conducted which raised no concerns with the business. On the basis of the above, the proposed use is considered appropriate and in this instance, it is recommended that Condition 3.4 of the previous approval (5.2016.412.1), which limits the period of approval for 12 months, be removed. The proposed use requires the provision of four car parking bays under the City’s Policy No. 7.7.1 – Parking and Access. The complex provides two car parking bays at the rear of the tenancy for the exclusive use of the occupants of Unit 7, thus resulting in a shortfall of two car parking bays as per the policy. The two car parking bays provided are considered adequate for staff, with customers having close parking within the Brisbane Street Public Car Park, which is within 250 metres of the site and contains 228 car parking bays, and the immediately adjacent ticketed two hour parking on Brisbane Street. Additionally, the scale and intensity of the proposed use for Non-Medical Consulting Rooms is relatively low and unlikely to generate a level of demand for car parking that would exceed the capacity of the parking facilities both on-site and in the immediate locality. The shortfall of two car parking bays for the subject site was also previously approved by Council during consideration and determination of the original proposal. On the basis of the above, it is considered that the two car bay shortfall is appropriate. The proposed use requires the provision of two bicycle bays under the City’s Policy No. 7.7.1 – Parking and Access. During consideration and determination of the original proposal, it was considered by Council that the applicant should be responsible for providing one bicycle bay within the Brisbane Street road reserve verge in a location to the City’s satisfaction. This was reflected in Condition 4 of the original development approval (see Attachment 2). On this basis, it is considered that the requirement for one bicycle bay to be provided within the Brisbane Street road reserve verge is acceptable and Condition 4 of the original approval should remain unchanged. Following approval of the development application by Council, the City installed a number of new bike racks within the immediate area. On this basis, the applicant was advised by the City that there is now a sufficient amount of bike racks provided within the immediate area to cater for the subject site and the applicant was no longer required to install the bicycle bay within the Brisbane Street road reserve verge. On the basis of the above, it is recommended that Council resolve the delete Condition 4.2 of the original approval to remove the requirement for one bicycle bay to be provided within the Brisbane Street road reserve verge. The proposed use was previously granted an approval with a 12 month approval period in accordance with Clause 5.4.2 of the City’s Policy No. 7.5.22 – Consulting Rooms. The use has been operating since approval was granted with no complaints being received by the City. On this basis the use is considered compatible with the surrounding locality and it is recommended that Council approves the proposal with no limit on the approval period. 4.1. Conditions that have a time limitation for compliance, and the condition is not met in the required time frame, the obligation to comply with the requirements of the condition continues whilst the approved development exists. To consider an application for development approval for a change of use from Shop to Unlisted Use (Non‑Medical Consulting Rooms) at No. 366A Charles Street, North Perth (subject site). The subject site is located within the Charles Street Local Centre on the east side of Charles Street, North Perth, as shown in Attachment 1. The subject site and surrounding properties to the north and south are zoned ‘Local Centre.’ The land located to the east is predominantly zoned ‘Residential’ with a density code of R30/R40. The land located to the west side on the opposite side of Charles Street is zoned ‘Commercial’. The Charles Street Local Centre contains a variety of uses including commercial, retail and residential. The subject site is adjoined by a vehicle sales premise to the north and a mixed-use development to the south (shop and multiple dwellings). The subject site comprises of a single building with two tenancies. Tenancy 366 is located directly to the south and is operating as a pilates studio. The rear of the subject site is unsealed and is informally used as staff car parking for both tenancy 366 and 366A. This area can be accessed via the right of way located at the rear of the site. An application for Non-Medical Consulting Rooms and ancillary Shop (Massage and Beauty Therapy) was lodged with the City on 13 November 2015. The City granted conditional development approval under delegated authority for Consulting Rooms on the subject site on 22 February 2016. The previous development approval was valid for a 12 month period. Condition 2.2 of the approval required the applicant to reapply for development approval following a period of 12 months. “any building or part thereof used in the practice of a profession by a legally qualified medical practitioner or dentist, or by a physiotherapist, a masseur, a chiropractor, a chiropodist, or a person ordinarily associated with a medical practitioner in the investigation or treatment of physical or mental injuries or ailments but does not include a hospital”. The business offers beauty therapies and massage therapies by qualified consultants, which does not align with the definition of Consulting Rooms in TPS1. The services offered also do not relate to the investigation or treatment of physical or mental injuries or ailments, and as a result are not considered to meet the definition of Consulting Rooms under TPS1. “any building or part thereof used in the practice of a qualified beauty technician, touch therapist, natural massage therapist or the like”. As a result of the time limit imposed on the initial development approval, a further application was lodged on 3 February 2017 to enable the continued and permanent use of the subject site for beauty and massage therapy. The application also requested that Condition 2.2 imposed on the previous approval be removed. Since the development application was lodged the use has continued to operate with no complaints. The City has undertaken a site inspection which identified no issues with the development. The development plans are included as Attachment 2. The application proposes no physical changes to the building. The table below summarises the planning assessment of the proposal against the provisions of the City of Vincent Town Planning Scheme No. 1 (TPS1), the City’s Policy No. 7.5.22 – Consulting Rooms and the City’s Policy No. 7.7.1 – Parking and Access. In each instance where the proposal requires the discretion of Council, the relevant planning elements are discussed in the Detailed Assessment section following from this table. Consultation was undertaken for a period of 14 days in accordance with the Planning and Development (Local Planning Scheme) Regulations 2015, from 26 October 2017 until 8 November 2017. In accordance with the City’s Policy No. 4.1.5 – Community Consultation, a notice was placed in the local newspaper and 19 letters were sent to owners and occupiers within close proximity to the subject site, as shown in Attachment 1. No submissions were received during the advertising period. On 8 December 2017, the Acting Minister for Planning announced that the City’s draft Local Planning Scheme No 2 (LPS2) is to be modified before final approval was to be granted. The schedule of modifications was confirmed in writing by officers at the Department of Planning, Land and Heritage (the Department). The Department also advised that the modifications to LPS2 would be required before the Acting Minister would finally grant approval to the Scheme. In this regard LPS2 should be given due regard as a seriously entertained planning proposal when determining this application. “shop means premises used to sell goods by retail, hire goods, or provide services of a personal nature (including a hairdresser, or beauty therapist) but does not include a showroom or fast food outlet”. A Shop is a ‘P’ listed use within the Local Centre zone. Development Approval is not required for a change of use to a ‘P’ use where the use complies with applicable development standards. As the proposal does not comply with the City’s Parking Standards the application would not be exempt from development approval. i. To provide services for the immediate neighbourhoods which do not expand into or adversely impact on adjoining residential areas. ii. To encourage high quality, pedestrian -friendly, street-orientated development”. The matter is being referred to Council for determination as the proposal is for an “Unlisted Use” which under the City’s Town Planning Scheme No. 1 requires an Absolute Majority decision. The subject site is zoned Local Centre which is the same for the properties in the immediate vicinity, and is not contemplated to change in Draft LPS2. The use cannot reasonably be determined as falling within the definition of ‘Consulting Rooms’ in TPS1 and is therefore considered an Unlisted Use. The use meets the requirements of the City’s Policy No. 7.5.22 – Consulting Rooms with respect to accredited qualifications of employees. The use on the subject site has been in operation for approximately two years and during this time the City has not received any complaints regarding the use of the subject site. A site visit was undertaken by the City, which raised no concerns and the development is considered legitimate. The proposal incorporates a maximum of three consulting rooms and is considered to be of a relatively small scale. The development provides services for the immediate locality and the applicant has highlighted that the majority of customers are from the local area. The proposal is considered to be compatible and complementary with other commercial uses in the Local Centre. As such, it is not considered necessary for the proposal to continue to operate under a time limited development approval. The application has been assessed against the City’s Policy No. 7.7.1 – Parking and Access based on the use being a Consulting Room, which requires three car parking bays per consulting room or consultant (whichever is lesser). Clause 2.4 of the Policy No. 7.7.1 – Parking and Access allows the City to waive the car parking and cash-in-lieu requirements for change of use applications where no physical works are proposed and where the application does not result in the reduction of existing on-site car parking. The subject site provides no formal line-marked car parking bays. However, the rear of the site contains an informal unsealed car parking area that is shared with tenancy 366B. The proposal is required to provide 7 6.84 on-site car bays. The initial development approval waived the requirement for on-site car parking and cash-in-lieu as the proposal was only granted temporary approval for 12 months and was for a change of use which did not propose any physical changes to the building and did not result in the loss of any existing car parking and therefore complied with the provisions of Policy No. 7.7.1 – Parking and Access relating to waiving of cash-in-lieu. Since operation, the City has received no complaints relating to car parking on the subject site. It is further highlighted that no submissions were received during the advertising period. The City has previously approved a parking shortfall of 7 6.84 car bays for the development. This application does not propose to alter the existing parking arrangements and does not propose any changes to the operations of the use. However, despite the previous development approval, the applicant is now proposing a permanent approval and acknowledges that there is the ability for the subject site to accommodate some onsite parking. The applicant has advised that the owner is agreeable to formalising the parking at the rear, which can accommodate a maximum of 3 parking bays for staff. As such, it is recommended that a minimum of three on-site car bays are provided for the exclusive use of the development with Council waiving the requirement for a further four bays to be provided given the site’s proximity to the Pansy Street Public Car Park and the high frequency bus route on Charles Street. The previous development approval required the applicant to provide one Class 1 or 2 bicycle facilities and three Class 3 bicycle facilities. The applicant has requested this condition be removed as part of this application on the basis that there is no demand for such bicycle facilities. Given the development has a shortfall of car parking, it is not considered appropriate to waive the bicycle parking requirements with adequate room available for staff bicycle parking at the rear of the site for staff for the provision of these facilities and on the footpath at the front of the site for customers. As such a condition of the development approval is recommended requiring the installation of the required facilities within 90 days of this approval. The proposed use has been operating for over two years with no concerns or complaints regarding the use. It is considered that the use can continue to operate without any further condition to limit its validity. The previous development approval did not require the provision of car parking. However, as the proposal seeks the permanent use of the site, it is recommended a that the condition relating to bicycle parking and car parking is retained is imposed. 5. Having due consideration of subclauses 67(m) and (n) of Schedule 2 of the Planning and Development (Local Planning Schemes) Regulations 2015, the development is not considered to be compatible with its setting due to the likely effect of the scale and appearance of the development on the residential character of the locality. To consider an application for development approval for a change of use from Two Grouped Dwellings to Single House and Eating House (including alterations and additions) at No. 7 Chelmsford Road, Mount Lawley. The subject site is located on Chelmsford Road, Mount Lawley and is zoned ‘Residential’ with a density of ‘R40’. The land immediately abutting the subject site to east and south is zoned ‘Commercial’ and ‘District Centre’. To the west of the subject site is a ROW which is 5 metres wide, City owned and includes an easement with rights of access provided to the subject site. The area immediately to the west, abutting the ROW, and the properties directly opposite to the north are zoned ‘Residential’ with a density coding of ‘R40’ and is predominantly characterised by single dwellings. The start of this ‘Residential’ zone clearly delineated on Chelmsford Road, directly in front of the subject site, in the form of a one way slow point which restricts traffic from Beaufort Street travelling into and parking in this residential area. The location of the subject site is shown in Attachment 1. The site accommodates two existing grouped dwellings, a single storey grouped dwelling which is orientated to Chelmsford Road and a three storey grouped dwelling to the rear of the property which fronts the ROW. Both grouped dwellings are provided with access from the ROW and are on a single certificate of title. On 23 October 1997, the applicant lodged an appeal with the Minister for Planning’s Appeals Team for the abovementioned decision. On 24 November 1997, Council requested that the Minister for Planning dismiss an appeal which was lodged by the landowners for the refusal of approval to commence development for a change of use from residential to commercial on the subject site. On 30 January 1998, the Acting Minister for Planning resolved to dismiss the appeal. On 26 July 2011, Council approved a change of use from Single House to Medical Consulting Rooms (Psychology) and Associated Alteration and Additions subject to a number of conditions. However, it appears that this approval was not acted upon and has therefore, lapsed. The subject site has been continued to be used as a grouped dwelling as previously approved since this approval. This was confirmed through the application form which was submitted as part of the development application. · 2.27 metres setback to the building line and nil to the alfresco. This application was advertised for a period of 23 August 2017 and concluding on 12 September 2017. At the end of this advertising period a total of eight submissions were received, all being objections. A schedule of the submissions received during this consultation period is included as Attachment 2. · a Noise Management Plan included as Attachment 4. · A 4.13 metre setback to the building line and 2 metre setback to the alfresco. The application and its assessment only relates to the change of use from grouped dwelling to eating house at the front portion of the subject lot, which would then result in the grouped dwelling to the rear changing land use to single house. This dwelling will remain and will be the only building used for residential purposes. This will not result in any additional requirements for the single house. A roof sign for the proposed eating house has been included in the application. The sign complies with the City’s Policy No. 7.5.2 – Signs and Advertising and in accordance with the Planning and Development (Local Planning Scheme) Regulations 2015 is exempt from the need to obtain development approval as it satisfies the requirements of the City’s Policy No. 7.5.1 – Minor Nature Development. The plans accompanying the application is included as Attachment 5. A letter of further justification and a letter addressing the submissions received as part of the second consultation period, are included as Attachment 6 and Attachment 7, respectively. The table below summarises the planning assessment of the proposal against the provisions of the City of Vincent Town Planning Scheme No. 1 (TPS1), the City’s Policies No. 7.1.1 – Built Form, No. 7.7.1 – Parking and Access and the State Government’s Residential Design Codes. In each instance where the proposal requires the discretion of Council, the relevant planning element is discussed in the Detailed Assessment section following from this table. 30% of the site area as canopy cover. Nil on-site bicycle facilities resulting in a shortfall of 5 spaces. Consultation was undertaken for a period of 21 days in accordance with the Planning and Development (Local Planning Scheme) Regulations 2015, from 10 January 2018 until 31 January 2018. The method of consultation included a sign on site, a notice in the local newspaper ‘The Community News, and letters being mailed to all owners and occupiers as shown on Attachment 1, in accordance with the City’s Policy No. 4.1.5 – Community Consultation. · Concerns that the illuminated signage will cause a visual disturbance to the area. The main issues raised in the submissions are discussed in the Comment section below. A summary of the submissions received in both sets of community consultation and Administration’s comment on each of these is included as Attachment 8. In accordance with Schedule 2 Clause76(2) of the Planning and Development (Local Planning Schemes) Regulations 2015 and Part 14 of the Planning and Development Act 2005, the applicant has the right to apply to the State Administrative Tribunal for a review of Council’s determination. (c) to ensure that the use and development of land is managed in an effective and efficient manner within a flexible framework which – (i) recognises the individual character and needs of localities within the Scheme zone area; and (ii) can respond readily to change;…. On 8 December 2017, the Acting Minister for Planning announced that the City’s Draft Town Planning Scheme No 2 (TPS2) is to be modified before final approval was to be granted. The Schedule of modifications was confirmed in writing by officers at the Department of Planning, Land and Heritage (the Department). The Department also advised that the modifications to the TPS2 would be required before the Acting Minister would finally grant approval to the Scheme. In this regard the TPS2 should be given due regard as part of the determination of this application. Proposed TPS2 and the modifications required do not impact on the subject property. (c) a current planning approval required payment of cash-in-lieu but that approval has not been acted upon in any way including payment of cash-in-lieu in part or in full. This matter is being referred to Council as the City received more than five objections during community consultation. The property is zoned Residential with a density coding of R40. The zoning is not anticipated to change should the Draft LPS2 be finalised. The application proposes to use the building fronting Chelmsford Road as an ‘Eating House’. An Eating House is an ‘SA’ use in the Residential zone under TPS1 meaning it is not permitted unless Council has exercised its discretion. In exercising discretion consideration is to be given as to whether the land use is appropriate in the context of the locality. The land use permissibility for a Restaurant in the Residential zone under Draft LPS2 is an ‘A’ use which has the same meaning as an ‘SA’ use. During the two community consultation periods regarding the initial and then revised proposal, the City received numerous objections, which included concerns that the proposed use is not appropriate in the area, would disrupt the residential amenity of the locality and would promote the encroachment of the non‑residential uses into the residential zone. The applicant has outlined in their justification that the subject property is separated from the remainder of the residential area by a ROW and directly abuts the District Centre and Commercial zone. Notwithstanding the location of the ROW and ‘Commercial’ to the east, it is considered that the subject site is clearly part of the residential portion of Chelmsford Road. The properties directly opposite the subject site are zoned ‘Residential’ and are residential in nature. A very clear delineation of the residential area from the commercial area along Chelmsford Road is set directly in front of the subject site, in the form of a one way slow point which restricts traffic from Beaufort Street travelling into and parking in this residential area. This proposal will constitute a non-residential development within a Residential zone. The zoning of the subject site is also not proposed to change in LPS2. The applicant has argued that the presence of the ROW will separate the subject site from the remainder of the Residential zoned land and that the Commercial zone should, in essence, be from the subject site itself. This was considered and explored as part of the preparation of Draft TPS2 and it was considered that the Residential zone should continue to commence at the subject site given the location of Residential properties directly opposite the subject site and the one way slow point directly in front of the subject site. Given this, it is considered that the subject site sits firmly within the residential context portion of Chelmsford Road and that any development on the site must be compatible with the residential character of this area. The reuse of an existing house assists with the character of the site to remain compatible with the adjacent residential development, however the additions, alterations and signage proposed will change its appearance substantially, particularly given the reduced setbacks of the additions. The proposed additions will increase the floor area of the building which, in addition to the commercial nature of the proposal, results in a significantly more intense scale of the development. The proposed reduced street setback, to accommodate the outdoor alfresco dining area, has been identified as a key contributor towards a loss in residential amenity as it is considered that this will exacerbate issues relating to noise and will not fit in with the existing built form of the residential area. The proposal to accommodate 28 patrons is significant and will draw from a wider area in addition to the local catchment. The proposed use will increase the scale and intensity of non-residential uses in the residential zone and Chelmsford Road and it is considered that the proposed use and scale is will result in a detrimental impact to the amenity of the residential portion of Chelmsford Road. In this instance, it is considered that the proposed use is incompatible with the residential nature and character of the area and is also inconsistent with to the objectives of TPS1 and the objectives of the Residential zone under Draft LPS2. The proposed hours of operation for the eating house are 10:00am to 10:00pm, seven days a week. During community consultation concerns were raised regarding the noise generated by patrons to the restaurant while dining and particularly in the evenings and by staff clearing towards the end of the night. The design of the additions to the building promote open indoor/outdoor functional areas facilitated by large bi-fold doors opening out towards the street for a majority of the building façade. · Plastic or upholstered chairs instead of metal aluminium chairs (to prevent the clanking when setting up and packing up/cleaning). The applicants have outlined that these measures have been based on other cafes with alfresco dining areas. The applicants in their response to the submissions received have also indicated that the eating house will be family friendly and that no smoking will be permitted in the area adjacent to the ROW therefore deterring patrons from loitering in this area and will be enforced through the use of signage. The applicant has also indicated that all doors and windows will be closed while the restaurant is being cleaned at the end of the night. The information submitted as a means of alleviating or mitigating any noise concerns raised by the community is not considered to adequately address potential noise from the proposed use. Despite these proposed noise attenuation measures, the use of the subject site as a café until 10:00pm, particularly in the alfresco area, is considered to have an undue impact on the adjacent residential properties. The proposal seeks approval for an eating house with capacity for up to 28 patrons. The deemed-to-comply standards of the City’s Policy No. 7.1.1 – Parking and Access requires the provision of 3.58 (after the application of adjustment factors) on-site car parking bays. The proposed development incorporates two car parking bays which results in a two car parking bay shortfall. Concerns that the lack of on-site car bays will exacerbate the already existing car parking issues in the street, was raised during the community consultation period. The submitters have outlined that the area is already congested due to the general lack of car parking in the area. Illegal parking and the illegal access of vehicles into Chelmsford Road which cannot be directly accessed from Beaufort Street, is also a highlighted issue in the area. The applicant, in response to the submissions, has submitted a Traffic Impact Statement (TIS), which incorporates a parking occupancy survey to demonstrate that the operation of an additional eating house to the area would not adversely affect the availability of on-street parking, off-street parking in the nearby public car parks or traffic in general. The parking occupancy survey was based on 120 on street car bays on Chelmsford Road between Beaufort and William Streets and 56 car bays accommodated within the Chelmsford Road Council owned public car park. The number of car bays along Chelmsford Road is an approximation only as there are no line markings on this street. The parking survey was conducted at intervals between 10:00am to 10:00pm for seven days. The results indicate that there is an average parking occupancy on weekdays of 62 percent, on weekends of 86 percent with a total average of 74 percent. It has been noted that the peak occupancy occurs on Friday at 6:00pm (84 percent occupancy), 6:00pm on Saturdays (97 percent occupancy) and between midday to 2:00pm on Sundays (Average of 91 percent occupancy) which strongly correlate to the likely peak demand times of this proposal, being dinner time on the week nights, dinner time on Saturday and lunch time on Sunday. It is considered that the survey results illustrate an existing high occupancy particularly during the peak eating house times and it is considered likely that the proposed change of use will have a detrimental impact on the current car parking and congestion issues in the area. There are existing two hour parking restrictions along this section of Chelmsford Road, which have been implemented in response to increased parking demands in the locality. The City has already received a number of car parking complaints in regard to vehicles in Chelmsford Road exceeding parking time limits, obstructing driveways, footpaths and ROWs and parking in no standing zones on Chelmsford Road. It is considered that the proposed development will contribute to the parking issues that already exist in this area. The parking shortfall triggers the need to consider a cash-in-lieu contribution for the shortfall of 1.58 bays. The applicant as part of the TIS indicated a willingness to pay the cash-in-lieu for the shortfall and has outlined that the monies could contribute towards the construction of additional car parking bays in the area and demarcation of street bays on either side of Chelmsford Road which is currently unmarked. The rationale behind this suggestion is that the marking of bays will facilitate the orderly parking of cars on the street. Council may, at its discretion, waive the car parking requirements for change of use applications to provide additional on-site car parking. The proposal does not satisfy the criteria provided in the City’s Policy No. 7.1.1 and the waiving of cash-in-lieu is not supported. Given the above, it is considered that the parking shortfall will have an adverse impact on the amenity of Chelmsford Road as is not consistent with the zoning of the site due to its reliance on Chelmsford Road and the public car park for parking of its customers and staff, which is already nearing capacity. The proposed alterations and additions to the front of the existing building accommodate an extension to the existing structure which has a setback 4.13 metres and a covered alfresco area which has a 2.0 metre setback to the front boundary. · the proposal does not adequately provide for parking and landscaping on site. Given the above it is considered that the proposal does not meet the design principles of P5.2.1 of Clause 5.2 City’s Policy No. 7.1.1 – Built Form and as a result the proposed reduction to the street setback is not supported. The application has been assessed against the provisions of the Policy No. 7.1.1 – Built Form, which sets a deemed-to-comply standard of 15 percent of the site area as deep soil zone and 30 percent of the site area as canopy coverage at maturity. A total of 14.4 percent of the site area has been provided as deep soil zone. The applicant has not provided a detailed landscaping plan and as a result the proposed canopy cover cannot be accurately determined. The landscaping provided consists of areas along the western boundary and a small area adjacent to the building entry. The existing vegetation in the front setback area, including an established “Callistemon” tree is to be removed to accommodate the proposed addition. Although the proposal provides for deep soil zones aligned with the intent of the City’s Policy, the removal of the existing vegetation in the front setback area combined with the absence of a detailed landscaping plan addressing canopy coverage, it does not demonstrate that the proposal will provide a positive contribution to the existing streetscape and minimise the impact of the development on the surrounding residential area. Given the above it is considered that the proposal does not meet the design principles of P5.14.1 to P5.14.5 of Clause 5.14 City’s Policy No. 7.1.1 – Built Form and as a result the proposed landscaping is considered insufficient. The City’s Parking and Access Policy bases the requirements for bicycle facilities on the public floor area of the eating house. In this instance a total of 5 spaces for bikes are required. No bike bays have been illustrated on the submitted plans for the proposed eating house and the lack of bicycle parking is not considered acceptable. There is sufficient opportunity to incorporate the required spaces and should Council consider approving the application it is recommended that a condition be applied requiring bicycle parking. The proposed eating house is not considered to be compatible with the Residential zone or the residential area of Chelmsford Street, which it is a part of. The proposal seeks to depart from several deemed-to-comply standards of the Built Form Policy in terms of street setback, landscaping, parking and bicycle facilities. Furthermore, the application has not demonstrated it satisfies the applicable design principles and more broadly the relevant objectives of the City’s current and proposed local planning scheme. The lack of on-site car parking and bicycle parking will result in the eating house placing undue pressure on the existing on street parking and congestion issues in the area, the physical form of the eating house will detract from the existing residential area and the noise generated by the intended use will have a detrimental impact on the amenity of the residential area. It is considered that the proposal will have an adverse effect on the amenity of the locality and it is recommended that the application be refused. REPORT TO BE ISSUED PRIOR TO BRIEFING MEETING ON 27 FEBRUARY 2018. REPORT TO BE ISSUED PRIOR TO COUNCIL BRIEFING 27 FEBRUARY 2018. 3. ADVISES the respondents of the decision. To consider the outcome of the further consultation in regards to the proposal to install a fully or partially enclosed dog exercise area at Charles Veryard Reserve, North Perth and to endorse the proposal to provide additional planting. Several meetings have been held at Charles Veryard Reserve, North Perth over the years in relation to installing some form of permanent barrier around the dog exercise area, located on the eastern side of the reserve. An amount of $15,000 was allocated in the 2016/17 Capital Budget to provide a full or partial dog exercise fence and landscaping. The decision of Council at that time was to note that the project would be subject to community consultation and a Council decision before proceeding. Community consultation in regard to various fencing options was initially undertaken in January 2017 and a report outlining the results of the consultation presented to Council at its Ordinary Meeting held on 7 February 2017. The item was deferred in order to allow for advice to be sought on an option of enclosing the dog exercise area by way of combining landscaping with fencing that was not visually intrusive, yet meets the needs of the park users. The funding for this project was carried forward to the 2017/18 capital works program and a further survey containing a number of specific questions in regard to use of the reserve, fenced dog exercise area and proposed materials to be used was finalised and advertised in December 2017. All residents within 500 metres of the park, owners of property within the target area but not residing within the area and all park all users were notified of the survey and encouraged to provide responses in December 2017. The results of the survey whilst encouraging in terms of the response rate, has proven to be somewhat inconclusive with 53 (35%) respondents supportive of a fully enclosed dog exercise area and 69 (46%) respondents not supporting this proposal. Of the 69 respondents not supporting the fully enclosed dog exercise area, the greater percentage of these (78%) also indicated that they would not support a semi-enclosed dog exercise area. Of the 29 (19%) of respondents who answered ‘maybe’ in regards to question 3 - Would you be supportive of a fully enclosed dog exercise area at the reserve?, the majority (43%) have indicated it would depend on the location of any proposed dog enclosed area, however there is no clear influence in supporting the responses received. The comments received regarding the ‘preferred materials to be used’ for any fencing installed, provided numerous and varied responses, including the use of pool type fencing, wire netting, timber slats, gabion baskets etc. however there was a significant response in terms of providing natural grass and landscaping. It is therefore proposed to undertake additional planting as an alternative to the installation of a permanent enclosure as shown in Attachment 2. The additional planting is intended to improve the delineation and identification of the location as dog exercise area. Consultation was undertaken in accordance with the City’s Community Consultation Policy that requires consultation to be undertaken of an area not less than 500metres surrounding the park or reserve, for at least 14 days. The consultation utilised the Engagement Headquarters (EHQ) portal that was recently used for the very successful “Imagine Vincent” community engagement campaign. The survey was open from 3 December 2017 to the 1 January 2018 (consultation was open for 14 days as required, prior to mid-December to mid-January restriction period) and was successful with a significant response rate, predominantly from the suburb of North Perth, the main target area. Responses to the various questions posed and comments received are shown in Attachment 1. Low: This proposal will provide a partial densely planted vegetative barrier around the existing dog exercise area (at all times), reducing the risk of any dogs running across adjacent roads. An amount of $15,000 has been included in the 2017/18 capital works budget to install a full/partial dog exercise area fence with associated landscaping at Charles Veryard Reserve, North Perth. It is recommended that the officer recommendation be supported and that additional planting is installed as shown in Attachment 2. This will provide a general improvement to the area and will increase the delineation and identification of the location as dog exercise area. 2. NOTES the sale of the City’s existing side loading automatic bin lifter refuse truck will be undertaken in accordance with Section 3.58 of the Local Government Act 1995. To consider awarding Tender No. 543/17 for the supply and delivery of one 22/23mᵌ side loading automatic bin lifter refuse truck for use by the City’s Waste Management Services. The City’s side arm rubbish truck compactors have a useful life of five to seven years. The current rubbish truck listed for disposal is 2010 model Iveco Acco, and is to be replaced as part of the long-term major plant replacement program in 2017/18. It has been used continuously for waste collection operations for the past seven years. Rubbish collection vehicles work extremely hard over their operational life, five days per week 52 weeks per year, and if not replaced within the recommended time frames, may potentially result in expensive repairs to both vehicle and/or and compactor unit. The side arm compactor fleet is predominantly used to collect domestic waste throughout the City. The majority of waste collected (by the side arm fleet) is disposed of at the Mindarie Regional Council Neerabup Resource Recovery Facility (RRF). Tender No. 543/17 for the supply and delivery of one 22/23mᵌ side loading automatic bin lifter refuse truck was advertised on 13 December 2017 and closed on 17 January 2018. The preferred tenderer, Truck Centre WA Pty Ltd, currently has the vehicle and compactor unit offered in stock and if approved by Council could be delivered within a month upon receipt of an order. If the aforementioned vehicle is sold in the interim the earliest delivery will likely be August/September 2018. The tenders were assessed by a Tender Evaluation Panel consisting of the, Supervisor Waste Management/Street Cleaning, Depot Operations Supervisor and Manager Asset and Design. Scores were allocated accordingly by the Tender Evaluation Panel for each selection criteria as noted above and the table exhibited in the Confidential Attachment indicates the prices submitted. The tender was advertised in accordance with the Local Government Act 1995 Tender Regulations and the City’s Policy No. 1.2.2 – Code of Tendering and Policy No. 1.2.3 – Purchasing. The tender was assessed in accordance with the City’s Policy No. 1.2.2 – Code of Tendering and Policy No. 1.2.3 – Purchasing Policy. 1.1 Improve and maintain the natural and built environment and infrastructure. Not applicable. The new vehicle is a Euro 6 model that has lower emissions than the vehicle currently in service. An amount of $380,000 was allocated in the 2017/18 Capital Budget for the replacement of the existing side arm rubbish truck to be utilised by the City’s Waste Services and the tendered price is within budget. The submissions by both Tenderers were very competitive and both would provide the required level of service requested. However, following a detailed assessment it was considered that the Truck Centre’s submission (Volvo chassis with a Bucher Municipal compactor) provided the best value for money. A Tender Evaluation Summary is appended as a Confidential Attachment and contains further information on the evaluation. The trade in value offered by Truck Centre WA is not considered to be the most financially advantageous option so the trade in offer will not be accepted and the vehicle currently in service will be sent to auction in accordance with Section 3.58 of the Local Government Act 1995. The Truck Centre’s submission was the most compliant with tender specifications and they will provide a “Euro 6” vehicle which is more environmentally friendly with the least gas emissions. The City currently has three Volvos in its waste fleet and they have performed exceptionally well with regards to providing the best reliability, service provision and at a low Life Cycle cost. The proposed Bucher Municipal side arm compactor unit also complied with all parts of the tender specification and the evaluation panel considered that the combination of a Volvo chassis with a Bucher Municipal compactor, in terms of operation and servicing, would provide the best value for money to the City. · Proven reliability from existing similar products in the current waste fleet. It is therefore recommended that Council approves Tender No. 543/17 from Truck Centre WA Pty Ltd for the supply and delivery of one 22/23mᵌ side loading automatic bin lifter refuse truck with a Volvo FE 320 Eu6 fitted with a Bucher Municipal compactor unit. That Council RECEIVES the Financial Statements for the month ended 31 January 2018 as shown in Attachment 1. To present the Financial Statements for the period ended 31 January 2018. Regulation 34 (1) of the Local Government (Financial Management) Regulations 1996 requires a local government to prepare each month a statement of financial activity reporting on the sources and applications of funds, as set out in the budget. · includes other supporting notes and other information that the local government considers will assist in the interpretation of the report. In addition to the above, under Regulation 34 (5) of the Local Government (Financial Management) Regulations 1996, each financial year a local government is to adopt a percentage of value, calculated in accordance with AAS 5, to be used in statements of financial activity for reporting material variances. The following table provides a summary view of the year to date actual, compared to the Revised and Year to date Budget. There is a difference in classification of revenue reported by Programme and by Nature and Type. Operating revenue by Programme reporting includes ‘Profit on Sale of Assets’, but this is excluded in the Nature and Type report, however ‘Rates’ revenue is added. Revenue by programme is showing a negative variance of 4% ($581k). This is due to lower revenue in Other Property and Services $314k (asset disposals), Recreation and Culture of $244k (facility hire and Beatty Park), and Transport of $154k (predominantly parking infringement revenue which is expected to improve). It should be noted that there is positive variance of $136k in Health. Operating Revenue as presented on the ‘Nature and Type’ report (Page 4 of Attachment 1) is showing a negative variance of 1%. Expenditure by programme is showing a favourable variance of 5% ($1.80m), this is due to lower expenditure in Community Amenities $581k, Recreation and Culture $613k, Transport $417k, and Education and Welfare $89k. Similarly, the operating expenditure listed under the Nature and Type report reflects a corresponding favourable variance of 5%, with the largest variances in Employee Costs, Materials and Contracts and Depreciation on Non-current Assets. Transfer from Reserves is aligned with the timing of Capital Works projects that are Reserve funded. Most of these projects have not yet started. The variance is attributed to timing on commencement of projects. For further detail, refer to Note 5 on Attachment 1. Monthly transfer to reserves commenced in July 2017 except for the Tamala Park Land Sale Reserve which is transferred when actual funds are received. The surplus opening balance brought forward from 2016/17 is $4,035,268, as compared to the revised budget opening surplus balance of $3,946,211 after end of year carry forward adjustments. The actual surplus as per the 2016/17 was $4,475,026, this reflects an improvement of $529k over the anticipated end of year result for 2016/17. There is currently a surplus of $22,427,885, compared to year to date budget surplus of $13,460,733. This is substantially attributed to the positive variance in operating expenditure, current level of capital expenditure and the increase shown in the opening balance. It should be noted that the closing balance does not represent cash on hand (please see the Net Current Funding Position on page 5 of the attachment). This statement of Financial Activity shows operating revenue and expenditure classified by Programme. This statement of Financial Activity shows operating revenue and expenditure classified by nature and type. Net Current Assets is the difference between the current assets and current liabilities, less committed assets and restricted assets. This amount indicates how much capital is available for day to day activities. The net current funding position as at 31 January 2018 is $22,427,885. This statement shows a summary of operating revenue and expenditure by Service Unit. The following table is a summary of the ‘2017/2018 Capital Expenditure Budget by programme’, which compares year to date budget with actual expenditure to date. The full Capital Works Programme is listed in detail in Note 5 of Attachment 1. Note: Detailed analysis is included on page 68 - 81 of Attachment 1. The Cash Backed Reserves schedule details movements in the reserves, including transfers and funds used, comparing actual results with the annual budget. The balance as at 31 January 2018 is $9,101,387. The notices for rates and charges levied for 2017/18 were issued on 07 August 2017. Pensioners registered with the City for rate concessions do not incur the above interest or charge. The Rates debtors balance to be collected as at 31 January 2018 is $5,689,067 (this includes deferred rates of $100,508). This represents 15.72% of the collectable income compared to 14.74% at the same time last year. · $2,394,843 (81.1%) relates to unpaid infringements (plus costs) over 90 days. Infringements that remain unpaid for more than two months are sent to Fines Enforcement Registry (FER), who then collect the outstanding balance and return the funds to the City for a fee. · $353,980 (12%) relates to Cash in Lieu Parking. Some Cash in Lieu Parking debtors have special payment arrangements over more than one year. · $205,887 (7%) relates to Other Receivables, including recoverable works and property. Administration has been following up outstanding items which relate to Other Receivables by issuing reminders when they are overdue and formal debt collection when payments remain outstanding. As at 31 January 2018 the operating deficit for the Centre was $619,283 in comparison to the year to date budgeted deficit of $230,880. This unfavourable outcome is primarily due to higher depreciation expense being incurred as a result of the latest Fair Value Revaluation. Once the depreciation component has been deducted, the cash position showed a current cash surplus of $58,057 in comparison to year to date budget estimate of a cash surplus of $88,173. All material variances as at 31 January 2018 have been detailed in the variance comments report in Attachment 1. The materiality thresholds used for reporting variances are 10% and $10,000. This means that variances will be analysed and separately reported when they are more than 10% (+/-) of the YTD budget, where that variance exceeds $10,000 (+/-). This threshold was adopted by Council as part of the Budget adoption for 2017/18 and is used in the preparation of the statements of financial activity when highlighting material variance in accordance with Financial Management Regulation 34(1) (d). Section 6.4 of the Local Government Act 1995 requires a local government to prepare an annual financial report for the preceding year and such other financial reports as are prescribed. Regulation 34 (1) of the Local Government (Financial Management) Regulations 1996 requires the local government to prepare each month, a statement of financial activity reporting on the source and application of funds as set out in the adopted Annual Budget. A statement of financial activity and any accompanying documents are to be presented at an Ordinary Meeting of the Council within two months after the end of the month to which the statement relates. Section 6.8 of the Local Government Act 1995, specifies that a local government is not to incur expenditure from its Municipal Fund for an additional purpose except where the expenditure is authorised in advance by an absolute majority decision of Council. Low: Provision of monthly financial reports fulfils a statutory requirement. The capital works schedule includes an item for the unbudgeted purchase of an Engineering tools trailer. This was the replacement of an existing trailer due to age and poor condition. As this is classified as a capital expenditure item, it is required to be reflected in the capital works schedule, however it is noted that there was no specific budget provision and the purchase was not approved in advance by Council in accordance with section 6.8 of the Act. The budget provision will be addressed in the mid-year budget review. That Council ENDORSES the submission included as Attachment 1 as the City of Vincent’s response to the Department of Local Government, Sports and Cultural Industries (DLGSC) discussion paper relating to the Review of the Local Government Act 1995. To consider the City’s draft submission on DLGSC's Review of the Local Government Act 1995 Discussion Paper. In June 2017, the Minister for Local Government, Hon. David Templeman MLA announced the commencement of a review of the Local Government Act 1995 in two phases. · reducing red tape provisions. DLGSC has published a discussion paper, publicly available on its website, relating to phase one of the announced review. The paper asks a series of more than 100 questions on a range of topics and invites submissions from all parts of the community on those questions. 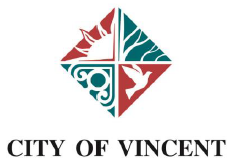 Administration has drafted a City of Vincent submission, included as Attachment 1, which includes the list of questions posed by DLGSC and a City of Vincent response based on any past positions of Council and, where no formal position has been taken to date, the views of Council Members and the Executive Team following discussions internally. Over and above the issues raised in the discussion paper, a number of further items and issues have been included that either Council has an adopted position on (e.g. as a result of a Council decision or a Council endorsed paper such as "Raising the Bar") or Administration is proposing a particular position on. These items are also proposed to be included within the City's submission. This report seeks Council’s endorsement of the City’s submission to DLGSC in respect of the discussion paper, for lodgement with DLGSC prior to its 9 March 2018 deadline. The submission is being developed in response to DLGSC's consultation exercise in relation to the review of the Local Government Act 1995. This item concerns a review of the Local Government Act 1995. Low There is not considered to be any risk to the City arising from making a submission to DLGSC concerning the review of the Local Government Act 1995. ‘4.1: Provide good strategic decision-making, governance, leadership and professional management. Additionally, Administration has put forward a number of items in part 12 of its response relating to the City's positions on external membership of audit committees, standardising pubic question times, voter franchise and trading entities. It is recommended that Council endorse the submission which will then be submitted to the DLGSC. To consider the submission received as a result of the public comment period on the proposed Standing Orders Amendment Local Law 2017 and to adopt the proposed local law. At its Ordinary Meeting held on 19 September 2017, Council approved the City of Vincent Standing Orders Amendment Local Law 2017, for the purposes of public comment. The purpose of the Standing Orders Amendment Local Law 2017 is to make a number of minor amendments to the principal City of Vincent Standing Orders Local Law 2008 to allow for the orderly conduct of meetings of Council meetings. The effect of the Standing Orders Amendment Local Law 2017 is to rename the Standing Orders Local Law 2008 to become the Meeting Procedures Local Law 2008 and to make minor amendments to the procedures for conducting Council meetings. At its ordinary meeting held on 6 February 2018, Council considered item 11.3 – Adoption of the Standing Orders Amendment Local Law 2017. Council opted to defer this item in order to solicit more information in relation to an option raised which would result in a slight amendment to the operation of a procedural motion to defer an item. This option was discussed at a council workshop, however no change to the local law has been proposed as a result of that discussion and the attachments to this report are unchanged from those presented at that meeting. The name of the local law will be amended from "Standing Orders" to "Meeting Procedures"
It is considered that the name change will make the law more recognisable and accessible to the general public. The term "Council Member" is proposed to be used in place of "Councillor" as appropriate. To align with the nomenclature in general use by the City of Vincent. The definition of “Presiding Member” will be amended so that it matches the definition of “Presiding Member” in the WALGA model local law. To align with standard industry practice. The definition of “document” will be amended so that it matches the definition of “document” in the FOI Act. To align with current legislation. It is proposed to standardise the definitions so that defined words are not capitalised unless they are names or proper nouns. (“agenda”, “closed doors”, “document”, “employee”). It is considered that the need for notice papers to be physically signed is no longer necessary. Remove references to delivering agendas by physical post. It is no longer considered necessary to post hard copies of meeting papers. Include a requirement for the City to post meeting notice papers on its website. The City's website is overwhelmingly the place where people visit to access this information. In the order of business, state that "confidential items" will be considered at the end and minor rephrasing. To align the local law with current practice. It is proposed to remove the requirement to provide leave of absence applications at least one hour before the commencement of the meeting. The clause is not considered necessary. It is proposed to recognise that Council Meetings are web streamed and also give the power to the Presiding Member to decide to stop or start the web stream. Aligns the Standing Orders with the City's adopted position on web streaming Council Meetings. It is proposed to remove the requirement to "bind" or paste the minutes or to keep a "minutes book". This clause is no longer considered necessary. Minutes will be kept in line with normal recordkeeping practice for any other permanent record. The requirement to state a person's address will be replaced by a requirement to state their suburb of residence or the location of a business that they are representing. To better protect the privacy of members of the public. Clarify that each person can only speak once during public question time. Preclude a list of written questions from being considered as being "asked" during public question time. To clarify the intent of the local law in relation to the process for asking questions at Council Meetings. Extend the power to approve deputations to "the Mayor or presiding member" rather than simply "the Mayor"
To cater for circumstances where the Mayor may be absent and unable to preside. Include a requirement for the CEO to nominate an officer who will be responsible for dealing with the petition. To formalise and clarify the process for having petitions dealt with by the organisation. Allow for the possibility of electronic voting. To provide future options for using voting technology at Council Meetings. Delete reference to clause 3.6.4 which does not exist. To amend an error in the local law. Delete explicit prohibitions on alcohol consumption and smoking. The clause is no longer considered necessary as smoking and alcohol consumption are already prohibited under other legislation and the City's code of conduct. Addition of power for the presiding member to require a person to "be seated". To increase the powers of the presiding member to deal with unruly behaviour. It is proposed to include recognition of "Council Briefings" and remove "forums". Public notice of the proposed City of Vincent Standing Orders Amendment Local Law 2017 was given in accordance with sections 3.12(3)(a) and (3a) of the Local Government Act 1995. Accordingly, advertisements were placed on the City's website, in The West Australian on 11 October 2017, The Perth Voice on 14 October 2017 and The Guardian Express on 17 October 2017 as well as posted on the City's notice boards and publicised on social media. In addition a letter was also sent to the Department of Local Government, Sport and Cultural Industries ("the Department") requesting feedback. The Department provided feedback with respect to the form of the Standing Orders Amendment Local Law 2017 which has also resulted in Administration making a number of minor amendments to the version of the local law that was advertised. The changes were administrative in nature and have resulted in several minor changes to the proposed Standing Orders Amendment Local Law 2017. None of the amendments alter the effect of the principal local law. Low: It is not considered that the adoption of the Standing Orders Amendment Local Law 2017 will have a significant effect on the City's risk profile. There are nominal costs associated with making the local law, including advertising and Gazettal which can be expended from the City's operating budget. The proposed changes are primarily minor in nature and are largely adequately explained in the table in the "DETAILS" section of this report. However, the sections below provide further comment on several particular amendments in order to clarify the reasons behind these proposals. Administration has consulted with the Department of Local Government, Sport and Cultural Industries in relation to the proposed change of name of the local law and whether it was preferable to change the name through an amendment or by repealing the current local law and making a new one. The advice received was that while both options were appropriate, an amendment was considered to be preferable in all instances where there was not considerable redrafting of sections of the law, such as in this case. Amendment local laws are considered to be easier to adopt because with any amendment local law, only the items that are being changed (3 pages) are considered and assessed by the Joint Standing Committee for Delegated Legislation. If a new local law was made, the entire new local law (44 pages) would be assessed. This would also have an impact on the fees charged to the City to gazette the local law which are related to its length. The requirement for a person to state their name and address when addressing Council has long been standard practice in local government. Administration notes that in the past decade there has been a change in expectations around the level of privacy of people’s personal information, which has been brought to the fore by the new paradigm of accessibility to information made available via the web. In light of these changing expectations, Administration considers that the public interest in soliciting and recording the address of people who ask public questions no longer outweighs the privacy concerns of a number of members of the public and may act as a barrier to public participation at Council meetings. Consequently, it is proposed to amend this section of the local law and require only that a person must state their name and the suburb in which they reside. Council at its meeting on 4 November 2014 resolved to move to a monthly meeting cycle in 2015, comprising monthly Council Briefings and Council Meetings. Council Briefings occur on the Tuesday of the week prior to the Ordinary Council Meeting and provide Council Members with the opportunity to ask questions and clarify issues relevant to the specific agenda items due to be presented to Council in the following week. The Council Briefing is not a decision-making forum and the Council has no power to make decisions at the Council Briefing. To date, Council Briefings have not been covered by the Standing Orders Local Law 2008. However, the City invariably holds public question time at the start of the meeting and follows the practice of declaring any interests relating to items on the agenda. It is proposed that these practices be formalised by amending the local law to stipulate that these sections of the local law apply to Council Briefings. At its meeting on 7 March 2017, Council resolved to commence web streaming of Council Meetings and Briefing Sessions in order to improve the transparency and public access to the decision making process. Live streaming was implemented from the 30 May 2017 meeting onwards. Minor amendments to the local law have been proposed, to recognise Council's decision in relation to web streaming and the role that it plays in the conduct of Council meetings. It also clarifies powers of the Presiding Member and Council to stop and start web streaming during the meeting. This reserve is established from payment of cash-in-lieu of car parking from development applicants and is to be used for the upgrade of existing car parking facilities or the establishment of new car parking facilities and associated infrastructure. This reserve is established from payment of cash-in-lieu of car parking from development applicants and is to be used for providing and/or upgrading existing and proposed Transport infrastructure as defined in the City’s Parking and Access Policy 7.7.1. For the redevelopment of the Centre, including upgrade / renovation / maintenance / repairs and replacement of major items of plant, equipment, fixtures and fittings. For the purpose of capital improvements, including replacing major items of plant and equipment or renewal and modifications to the Centre. For the upgrade / renovation / maintenance / repairs of the centre and the purpose of replacing major items of plant, equipment, fixtures and fittings. For works associated with the maintenance, repairs, alterations, upgrade and replacement of the proposed State Gymnastics Centre building, major plant, equipment, fixtures, fittings and associated land. To consider for adoption a draft Financial reserves Policy to guide the establishment and management of Reserves in the future. The Local Government Act 1995 (the Act) establishes controls over the creation and use of Reserve Accounts. Specifically, section 6.11(1) states that “where a local government wishes to set aside money for use for a purpose in a future financial year, it is to establish and maintain a reserve account for each such purpose”. This provision also stipulates that before a local government changes the purpose of a reserve account or uses the money for another purpose, it must give one month’s local public notice. The primary exception to this rule is if the change is disclosed in the annual budget. Section 6.2 (4)(e) of the Act specifies that the Annual Budget is to include “details of the amounts to be set aside in, or used from, reserve accounts and of the purpose for which they are to be set aside or used”. Further controls are provided through the Local Government (Financial Management) Regulations 1996, including the requirement that a “reserve account is to have a title that clearly identifies the purpose for which the money in the account is set aside”. In 1995/96, the City (then Town) had five cash-backed Financial Reserves (Reserves) with total funds of $2.6m. The following year that had grown to 10 ($4.4m) and by the end of 1996/97 there were 13 Reserves with a total funding of $5.5m. Over the years, additional Reserves have been created for specific purposes, with the Annual Financial Report for the Year Ended 30 June 2017 listing 29 Reserves with a total closing balance of $6.2m. Early annual reports referenced the Reserve would be funded from the centre’s ‘before depreciation operating surplus’. This does not appear to have been consistently followed and the principle may warrant review. There is an inconsistency between the adopted purpose of the Reserve and the purpose specified in section 2.2.4 of the Parking and Access Policy (7.7.1). Potential inconsistency with Lease responsibility. There is an inconsistency between the adopted purpose of the Reserve and the Lease provision governing the payment of contributions by the Lessee. Purpose must align with section 2.2 and 2.3 of Policy 7.5.13. When established, it was identified that the Reserve would be funded from the MRC lease payments. This does not appear to have been consistently followed. Section 6.11 of the Act as detailed below, requires a one month local public notice before changing the purpose of a Reserve or using the money for another purpose. The Community Consultation Policy 4.1.5 extends this to include notice on the Council’s website and letters to local business and community groups. · Letter to local Business and Community Groups. It is proposed that these two elements of consultation occur simultaneously. (1) Subject to subsection (5), where a local government wishes to set aside money for use for a purpose in a future financial year, it is to establish and maintain a reserve account for each such purpose. it must give one month’s local public notice of the proposed change of purpose or proposed use. (b) in such other circumstances as are prescribed. (4) A change of purpose of, or use of money in, a reserve account is to be disclosed in the annual financial report for the year in which the change occurs. (5) Regulations may prescribe the circumstances and the manner in which a local government may set aside money for use for a purpose in a future financial year without the requirement to establish and maintain a reserve account. 17. Reserve accounts, title of etc. (1) A reserve account is to have a title that clearly identifies the purpose for which the money in the account is set aside. (b) otherwise, by its full title or by an abbreviation of that title. “Objective 4.1: Provide good strategic decision-making, governance, leadership and professional management. The intent of the policy is to provide guidance that will lead to enhanced financial sustainability. · The long term estimates are based on the City’s developing, yet still incomplete understanding of the asset renewal requirements across all asset classes to meet acceptable levels of service and the financial implications of implementing the necessary maintenance renewal and upgrading programs. · Over 50% of the long term balance is expected to be delivered from the land sale activities of the Tamala Park Regional Council, which is due to be finalised in 2027/28 (subject to market conditions), therefore that funding source is finite. · Throughout the term of the LTFP, apart from interest, the only contributions reflected are to the Asset Sustainability Reserve and Tamala Park Land Sales Reserve. · The majority of the then balance of the Tamala Park Land Sales Reserve is being applied to a capital repayment of a loan in 2019/20. · There is no call on the Reserve funds from 2020/21, however that is a reflection of the forecast level of capital expenditure, which is almost certainly to increase as data is compiled on the asset renewal requirements of the City’s property portfolio. The Financial Reserves Policy and associated procedures and guidelines will provide better guidance in managing the various Reserves and ensuring appropriate balances are maintained. The establishment of Financial Reserves is an effective financial management strategy, however the City does not currently have a framework for the establishment, review, management and use of its Financial Reserves. As a starting point, a Financial Reserves Policy would provide Administration with direction and guidance on the City’s accepted approach to Financial Reserves. The adoption of a Financial Reserves Policy will guide the establishment and maintenance of Reserves based on specific criteria, which will indicate when the City should ‘reserve’ funds for significant future liabilities thereby smoothing the impact on rates generation and ratepayers. This will assist in demonstrating the City’s long term financial sustainability. A draft Financial Reserves Policy has been developed (Attachment 1) with the objective to provide “guidance for the establishment, funding and utilisation of Financial Reserve Accounts to promote sustainable and responsible financial management”. The policy sets the principle that the City will “establish and maintain Financial Reserves as are statutorily, contractually or prudently required for known or reasonably predicted future financial liabilities that require funding over multiple years to avoid unreasonable fluctuations in funding to be made up from Rates”. Given that the Act allows for the purpose of a Reserve to be changed or the money to be used for another purpose, it is important to recognise and record when there are other factors impacting on the Council’s discretionary capacity to approve alternative uses for the Reserve funds. In this instance, it is noted that 9 of the 26 Reserves have an ‘external’ restriction imposed either contractually or through legislation. RESERVE NAME: Reserve title that identifies the purpose for which the money in the account is set aside. PURPOSE: Expanding on the Title to clearly define the purpose of the Reserve and application of the funds. CLASSIFICATION: Records whether the funds are internally or externally restricted. CATEGORY: Opportunity to categorise the purpose of the Reserve, i.e. ‘Asset Renewal/Replacement’. FUNDING SOURCE: Specifying how the Reserve will be funded. DATE ESTABLISHED: Date Council approved the Reserve (if known). DATE AMENDED: If Council has amended the original Reserve purpose etc. PROJECT TIMING: Specific, ongoing etc. INTEREST CREDITED: Is interest to be credited to the Reserve to maintain parity. ACCEPTABLE USE: Expand on the purpose to provide specific examples of how the funds could be applied. UNACCEPTABLE USE: Examples of what would not be consistent with the approved purpose. The current list of Reserves have been reviewed and relevant details incorporated into the standard guidelines template, which are appended for information to Attachment 1. In addition, Attachment 2 provides further details on each Reserve, including financial balances. No external restrictions, so any works could be funded from the Asset Sustainability Reserve. Funds transferred to Trust, no ongoing requirement. Records indicate funding for the Reserve was to be made from transfers representing the before depreciation operating surplus of the Centre. Whilst the facility does not always make a profit, this restriction means it would never provide a ‘dividend’ back to the community (other than those using it). Not specific, very limited funds and no liability in LTFP. Purpose should be amended to align with Policy 7.7.1. No external restrictions, liabilities shouldn’t create significant demand and any expenditure could be funded from the Asset Sustainability Reserve if required. May warrant further clarification of Purpose. Asset renewal planning required to identify long term funding demand. Likely to be well beyond current level. Unless funding source agreed with football clubs, which would introduce an external restriction, this Reserve could be closed and rely on the Asset Sustainability Reserve. Clarity required on link between the requirement for the Club to pay a contribution and whether the City accepts responsibility for the associated works. Annual expenditure level (or variations) should not warrant the retention of the Reserve. Review with LTFP. Purpose needs to be amended to align with the restriction imposed through the Lease. As this is an income generating asset, with Lessor asset obligations, it is proposed this Reserve be maintained and consistently funded from a portion of rent. Purpose may need amendment as it is not considered appropriate for Reserve funds to be applied towards operational expenditure. Project planning required to clarify funding demand. Purpose is very broad, restricted only by location. Demand is not clear and so would not meet the principles proposed in the Policy. The Reserve appears to have been established to recognise a policy position, not to recognise a known or reasonably predicted liability. Funds are currently held in Trust. Whilst this facility is leased to the State Government, there should be no capital or renewal obligations on the City. Only required to smooth out annual fluctuations associated with the major plant replacement program. Review with LTFP. Transfers to the Reserve should be based on the MRC rent – currently $58,000. The Tamala Park land sale activity has a finite life, with development and sales due to be finalised in 2027/28. Revenue should be treated as extraordinary and applied to deliver strategic benefit. The LTFP currently identifies a proportion of these funds will be used in 2019/20 on debt reduction. No projects currently listed in LTFP. Review once a formal position is developed. Further work on the LTFP (including 10 year capital works program) and Asset Management Plans should provide clarification in respect to the extent of the City’s liabilities, which will then inform the level of funding required, including reliance on Reserves. It is important to note, that it should be the liability that drives the required funding level, not the reverse. 2. Amend the purpose of the following Reserves: as detailed below could be closed. Following adoption of the Policy, Administration will progress development of the procedures and guidelines. In addition, further review of the funding requirements and funding linkages will be incorporated into and informed by the development of the 2018/19 Budget and review of the LTFP. 2. APPROVES ADOPTS the revised Purchasing Policy 1.2.3 as detailed in Attachment 2. To report back to Council after the public consultation period and seek approval of the revised Purchasing Policy 1.2.3. The current version of the Purchasing Policy (Attachment 1) was due for review in February 2017. · Technical drafting amendments to improve understanding of the Regulations. Administration reviewed the current policy to make use of the above provisions, to endeavour to strike a balance between controls and efficiency. Generally the goal for policies is to be one or two pages. However, in this case the requirements that need to be covered to meet the provisions of the Regulations result in a longer policy. Following a full review, Administration submitted a revised draft of the Policy to the June Council Workshop and subsequently to the Audit Committee meeting held 18 July 2017. Part 4 of the Regulations deals with Provision of Goods and Services, including the requirement to adopt and implement a Purchasing Policy. As a result of the amendments to the Regulations, Administration reviewed its Purchasing Policy 1.2.3 and determined that the existing policy was not fully compliant when viewed without the Policy Guidelines and Procedures (currently attached to the Policy). The policy should contain the policy positions of the Council, however it is the CEO’s responsibility to establish effective systems and controls to comply with both legislation and Council policies. Therefore Administration proposes to develop a separate set of procedures to implement the revised policy. In reviewing the Policy, the Western Australian Local Government Association (WALGA) ‘Model Purchasing Policy’ template was used as a reference. A draft was presented to the City’s Audit Committee on 18 July 2017. · Limits on tender exemptions. The Regulations mandate that purchases of goods or services over the value of $150,000 must be sourced via tender. In the intervening period, the City has continued to use $100,000 as its tender threshold minimum. On review, Administration is recommending increasing the minimum tender threshold to $150,000. Part 4 Division 3 of the Regulations has been added to allow local governments to create a panel of pre-qualified suppliers. The Regulations only allow this when the purchasing policy outlines: how to establish a panel; how the panel will operate; how each supplier will be invited to quote; consistent communication with the panel; and recording and retention of quotes and purchases from suppliers. Section 5 of the draft Policy identifies the objectives of panels. Section 4 of the Policy identifies purchasing requirements for various thresholds. Administration has developed a two tier table which allows different purchasing requirements for pre-qualified suppliers. This had not been addressed in the previous Policy. The intention is to offer an efficiency incentive for the use of pre-qualified suppliers. Pre-qualified suppliers include suppliers on the WALGA Preferred Supply Program; the State Government CUA; or a City appointed panel of pre-qualified suppliers. The Amendments to Regulation 11(2) allow (in most instances) an unlimited exemption from the requirement to go to tender for purchases from certain preferred suppliers. Administration is recommending to cap this exemption at $250,000. The cap is intended to ensure effective oversight of large purchases and contracts, and has been set at this level to coincide with the requirement to present to Council a Business Case. · Include wording that all procurement is necessary, fit for purpose and supported by an appropriate budget provision. · Additional points to consider when assessing value for money. · Expanding the Sustainable Procurement provision to recognise the benefit from reducing consumption. The Purchasing Policy includes a section on Sustainable Procurement and specifies the consideration of sustainable benefits as an objective of the Policy. It is considered that this overarching principle applied across the City’s overall procurement activities removes the need for this stand-alone policy. It is therefore recommended for rescinding. As with the previous Policy, it is considered that this Policy is superseded by the broader sustainability provisions in the Purchasing Policy and therefore is recommended for rescinding. Obtaining legal advice is considered to be an administrative process and as such should be controlled by the CEO. This Policy is therefore recommended for rescinding. A Local Public Notice and Letter to local Business & Community Groups was issued on 18 January 2018 with public submissions invited until 8 February 2018. Part 4 of the Local Government (Functions and General) Regulations 1996. High: Purchasing and supply management cuts across the entire operation of the City and all aspects of risk, including compliance, financial and reputational. This policy and associated procedures establish clear expectations to guide effective procurement practices at the City. The intent of this provision, being at the commencement of the Act establishes an influence over all aspects of a local government’s operations, including procurement. The Purchasing Policy includes specific references to Sustainable Procurement to ensure principles are applied across all aspects of the City’s procurement activities. The purchasing policy guides how procurement is to occur and has an overarching principle of achieving value for money outcomes. The revised policy is now in line with amendments to the Local Government (Functions and General) Regulations 1996 effective from 1 October 2015 and Administration has also included a number of other amendments to the Policy that will strengthen accountability and ensure good governance. As a result of there being no community submissions, Administration proposes no further changes and therefore approval of the revised Purchasing Policy 1.2.3 is recommended. To present to Council the expenditure and list of accounts paid for the period 6 January 2018 to 1 February 2018. Council has delegated to the Chief Executive Officer (Delegation No. 1.14) the exercise of its power to make payments from the City’s Municipal and Trust funds. In accordance with Regulation 13(1) of the Local Government (Financial Management) Regulations 1996 a list of accounts paid by the Chief Executive Officer is to be provided to Council, where such delegation is made. Low: Management systems are in place to establish satisfactory controls, supported by internal and external audit function. If Councillors require further information on any of the payments, please contact the Manager Financial Services. That Council NOTES the Investment Report for the month ended 31 January 2018 as detailed in Attachment 1. To advise Council of the level of investment funds and operating funds available, the distribution of surplus funds in investments and the interest earned to date. Surplus funds are invested in Bank Term Deposits for various terms, to maximise investment returns in compliance with good governance, legislative requirements and Council’s Investment Policy No 1.2.4. Details are attached in Attachment 1. Total funds held for the period ended 31 January 2018 including on call in the City’s operating account were $39,498,741; compared to $34,645,041 for the period ending 31 January 2017. Total Investments for the period ended 31 January 2018 were $36,147,499 as compared to $37,065,389 for the prior month end; and $33,201,749 for the period ending 31 January 2017. *Interest estimates for Leederville Gardens Inc Surplus Trust were not included in the 2017/18 Budget as actual interest earned is held in Trust and restricted. Moderate: Funds are invested with various financial institutions with high Long Term and Short Term Rating (Standard & Poor’s or equivalent), obtaining more than three quotations for each investment. These investment funds are spread across various institutions and invested as Term Deposits from one to twelve months to reduce risk. The financial implications of this report are as noted in the details and comments section of the report. Overall the conclusion can be drawn that appropriate and responsible measures are in place to protect the City’s financial assets and to ensure the accountability of management. The funds for investment have decreased from the previous period due to excess of payments to creditors and other expenditures over cash receipts, which is the expected seasonal cash flow. Total funds invested in A2 category exceed 60% by 1 basis point, at the end of January 2018. This is due to decrease in total invested funds after the investments maturing with banks in A1+ category have progressively been withdrawn for cash flow purposes. The City has obtained a weighted average interest rate of 2.58% for current investments including the operating account; and 2.64% excluding the operating account. The Reserve Bank 90 days Accepted Bill rate for January 2018 is 1.79%. As at 31 January 2018, the City’s total investment earnings excluding the Leederville Gardens Inc. Surplus Trust income exceed the year to date budget estimate by $37,442 (9.20%). In response to the amendment to the City’s Investment Policy that provided preference “is to be given to investments with institutions that have been assessed to have no current record of funding fossil fuels, providing that doing so will secure a rate of return that is at least equal to alternatives offered by other institutions”, Administration has actively sought investment offerings from relevant institutions. It is of note that in September 2017, the City added Bank Australia Ltd to the list of non-fossil fuel lending institutions utilised and further funds were invested with them during this reporting period. As a result, 60.0% of the City’s investments were held in non-fossil fuel lending institutions as at 31 January 2018. That Council RECEIVES the Information Bulletin dated March 2018.